Picture this: you’re at school, going to your classes, until break arrives. You buy some food, and now you want a drink. 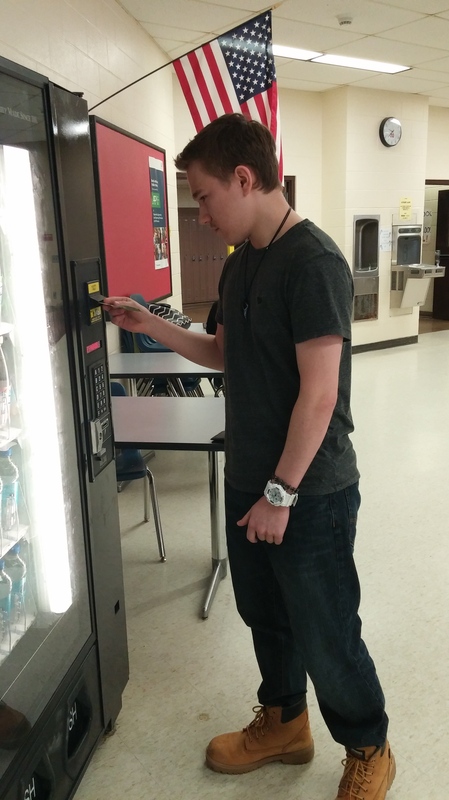 Why not get a fresh, cold water bottle from the vending machine? If you’ve ever been in a situation such as mine, you know how it feels when you put your dollar in, and–you guessed it–nothing comes out. You push the button for that water bottle you want but the machine doesn’t want to eject it. Your dollar is gone, and you’re faced with two options: either risk giving another dollar, or walk away. Over the course of the school year this has happened to me twice and I’m sure I’m not alone. While this may be rare, and may not apply to every vending machine in the building, it is equally as frustrating. Many students probably see the ones in the cafeteria being worked on as they pass through, but unfortunately they remain just as finicky, and also, have yet to give my dollars back. Next Point-Counterpoint: Is Homework Useful?